Renowned branding expert Martin Lindstrom is known for his books on branding, consumer behavior, and purchasing decisions. It's no surprise that he wanted a creative press kit that reflected his expertise in these areas for the launch of his new book. Pulling out all the stops, Americhip created a one-of-a-kind piece that utilized all of Lindstrom's methods and knowledge. Recipients were instantly engaged by the call to action on the outside packaging, "Guess the youngest age ever targeted by a marketer". 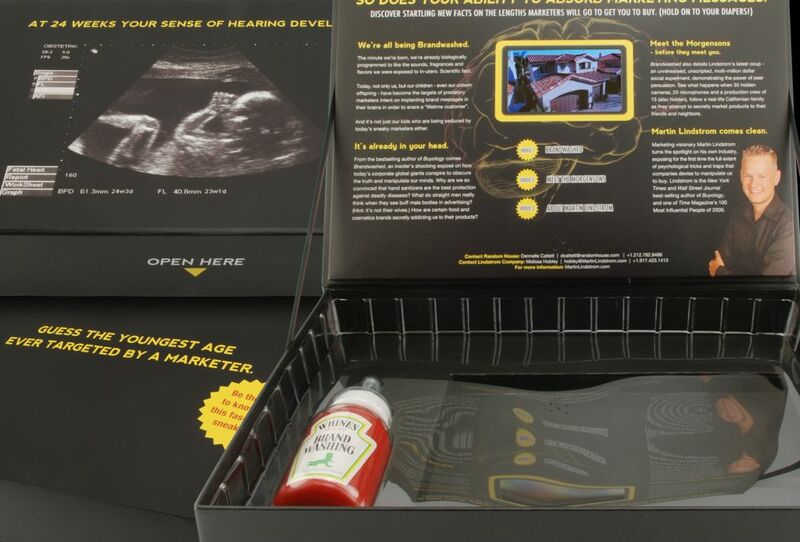 Inside the packaging, recipients only became more curious upon reading the cryptic message, "At 24 weeks your sense of hearing develops". Once fully opened, a branded baby bottle filled with ketchup lay next to the book. Above these pieces, a 4.3" video screen dove even deeper into Lindstrom, his new book, and his philosophies. A brief overview of the book and testimonials were also printed alongside the video screen. 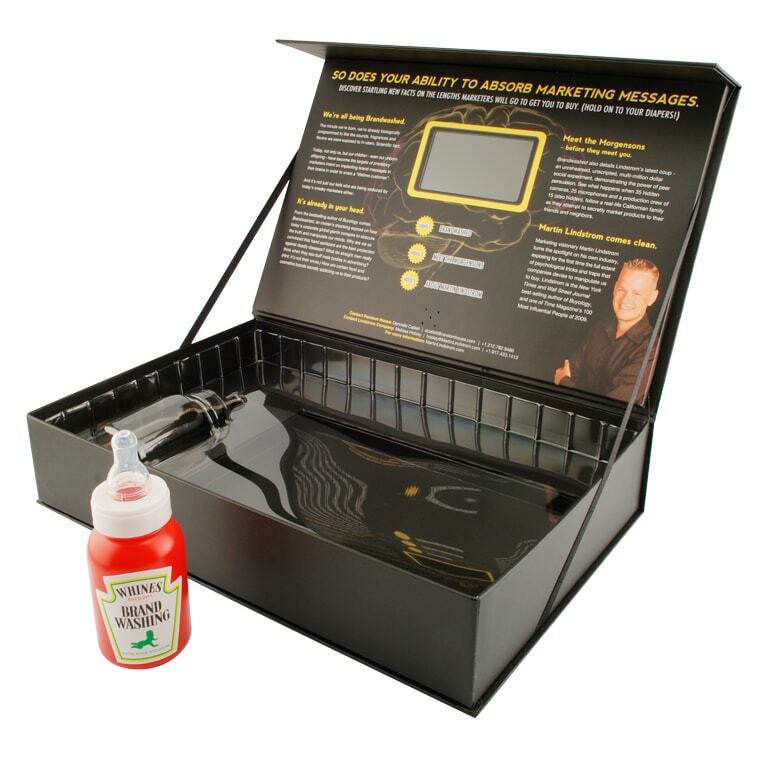 Americhip's toolbox of technologies and world-class teams of paper engineers and packaging experts came up with a solution that even impressed the king of branding and consumer behavior himself. The piece was undeniably engaging and enticing and allowed Lindstrom to ensure his own marketing aligned with the details in his book.